Each of these companies have given the retail world something to grasp, their ability to scale and speed of innovation make these companies very exciting to follow in the coming years. Walmart – is the worlds largest retailer that is piloting new concepts to reach a changing customer behaviour. Walmart is a company driven by data and innovation by providing the customer what they want, where they want it and whenever they want it. In 2018, a new partnership with Spark Delivery was established as Walmart expands its Grocery Delivery Service. This is a pilot project that focuses on the «last mile» delivery. This is how it works: think of Uber without passengers, but is instead used to pick up groceries for deliveries. Drivers sign up when their schedule is available and when an order ticks in, they are on their way to pick up groceries. Walmart is brilliant in testing new concepts before they roll out big scale solutions. This allows them to test out how the market responds while keeping the cost at a minimum. If the concept is proven to be successful, they scale up. 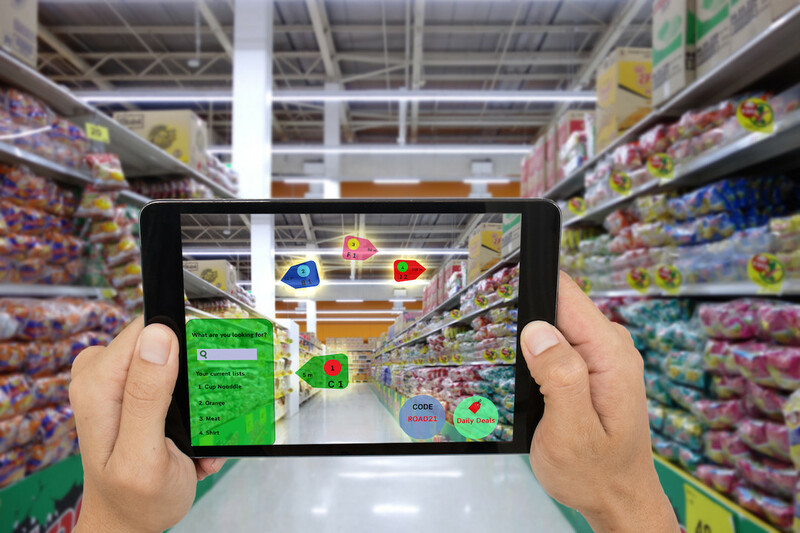 Another initiative Walmart is focusing on is AI technology to explore both store associate-facing and customer-facing applications. They have created an intelligence Retail Lab for developing AI technology and applications inside physical Walmart store. Walmart has big plans to grow its e-commerce business, but they remain aggressive in their physical expansion of in-store experiences. How can technology improve the customer journey when they enter a Walmart store? An example is to simply add technology to detect numbers of shopping carts available at the entrance. If there are no carts available, the customer will begin their shopping experience with a negative feeling. Walmart wants to improve every aspect of the customer journey and make sure the customer is left with a positive feeling regardless of how or where they choose to shop. Glossier – a beauty disruptor established from social media. Glossier was founded in 2014 by Emily Weiss and has since then developed its own beauty community platform that has quickly evolved to become a direct to consumer sales platform. 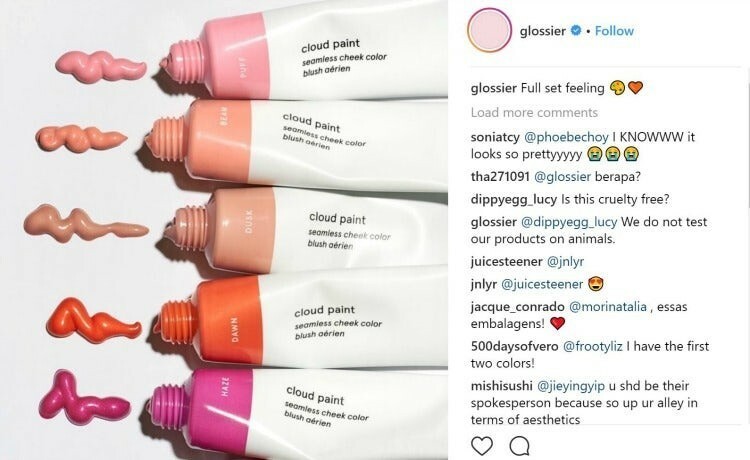 Glossier has gained traction in the ecommerce space leveraging the power of social media. By testing products and receiving constantly feedback from customers on what they think and like, Glossier is able to use this feedback to adopt the market and publish a better product. This is done by using their dedicated Instagram account to test and see how the market responds before releasing the product for sale. This business model has proven to be extremely successful. Content creation and communication with the end customer at all time are important to maintain and grow new customers. The communication and involvement of the end customer also works as a source of advertisement, which only attracts more customers. Glossier has positioned themselves as advisors to consumers, not just focusing on the products itself. They are truly customer centric and takes the feedback of the customer and turns it into something the market will value. Alibaba – the Chinese e-commerce giant that continues to expand its «new retail» concept. Alibaba is well known in Asia, but has not received similar attention in the west compared to for example Amazon. Alibaba is the biggest ecommerce company in China. It operates B2B, B2C and C2C sales services via web portals. They do not try to target everyone in one platform, but are instead looking from a holistic view to target different platforms to different target groups. This way, they manage to stay relevant and can tailor more to these segments. Alibaba has grown to be one of the most influential companies in the world, and that is mostly because of their online presence. The past few years we have also seen their entrance into the physical retail world. Their concept Hema is a supermarket driven by synchronisation of online and offline channels. Their massive data collection through digital footprints of using smartphones is critical in developing suitable and targeted offerings to the customer. Another way Alibaba is gaining traction is their ability to pilot and innovate faster than anyone else. They are masters at testing concepts and see how the market responds to it. Their effectiveness allow them to quickly make adjustments and focus on what truly gives the customer value. Alibaba’s success also relies on their ability in partnering and acquiring companies. This gives them an edge as they expand rapidly into new territories. For example, Alibaba saw a great opportunity in developing their «new retail» initiative by acquiring Ele.me in 2018, Chinas leading delivery platform. 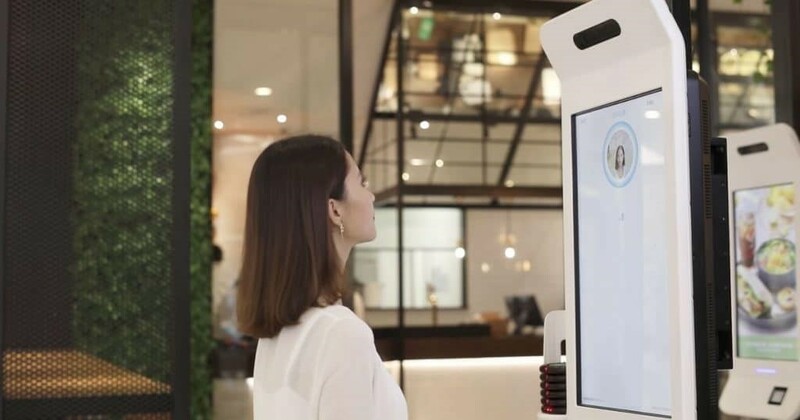 “Looking forward, Ele.me can leverage Alibaba’s infrastructure in commerce and find new synergies with Alibaba’s diverse businesses to add further momentum to the New Retail Initiative,” Alibaba Chief Executive Daniel Zhang said in a statement. In addition to Ele.me, many other strategic partnerships have been important in their uprising. A key in their successful development was their acquisition of Cainiao logistics, with a goal of expanding their global delivery capabilities. Alibaba has even taken the next step in establishing their own warehouse in Belgium to optimize the efficiency for deliveries in the European market with their bold ambitions of 72 hours delivery regardless of location. Alibaba’s latest strategic partnership is with Starbucks, a plan to transform the country’s coffee industry. 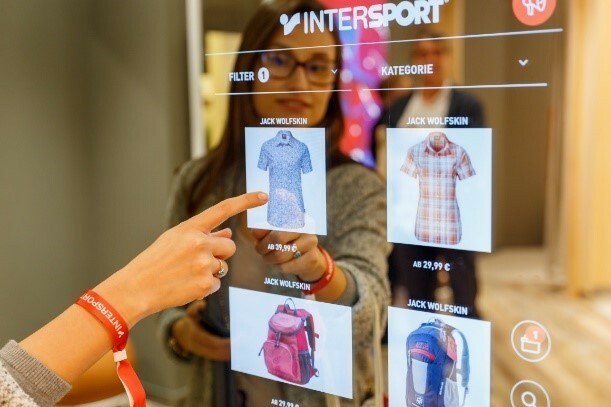 Intersport – the Swiss based omni-channel retailer has grown to be the largest sports goods retailer in the world. Casper – a leading mattress retailer that blends experiences in-store. 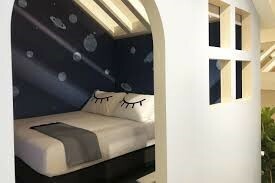 Casper is a leading mattress retailer that has integrated concepts and engaging experiences into their physical stores. The interesting fact is that they started as a pure online business, and after trying out pop-up stores for a while, they are now already expanding their permanent brick-and-mortar stores. This proves that a combination of online and offline presence is important if you make the right moves and stay ahead of the consumer. In Casper’s physical store in New York, you can pay 25 dollars to take a nap for 45 minutes, which helps you to make a more informed buying decision. Casper plans to open over 200 of its own stores within the next three years and shows no fear in expanding physical. Make strategic partnerships to enhance your offerings – how can our products or services be complemented to give the end consumer an improved customer experience? Piloting and testing is crucial in understanding the respons from the consumers. What works, what can be improved? Is it worth expanding? A merge between online and offline is key in the future of retail. Much of the future growth will come from online purchase, but the customer also expect physical presence to complement their online purchase. These days we often hear about how ecommerce is the only solution to growth, but we have seen that many of the successful online retailers are now expanding to physical stores. The physical presence will complement the online presence and its critical to connect these experiences in order to be truly customer-centric. We are living in a world that is driven by advanced technology, but in the end of the day we are all humans that appreciate the «human touch». The ones that are able to connect technology with the «human touch» are the ones that will thrive in the coming years. Ønsker å bli med i diskusjonen? Du er velkommen til å bidra!